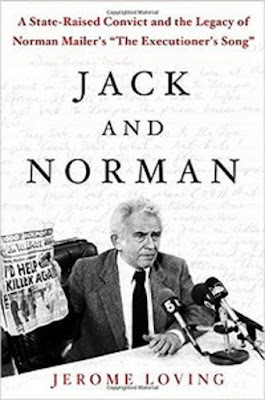 The Washington Times published my review of Jerome Loving’s Jack and Norman today. I’ve not read “In the Belly of the Beast,” Jack Henry Abbott’s book about his prison experiences and his half-baked commentary on Marxism and Communism, and I don’t plan to. But I have read Norman Mailer’s “The Executioner’s Song,” which was one of the few books by Norman Mailer that I liked. Jerome Loving’s “Jack and Norman” is a book about the two books and the relationship between the two authors; Abbott, a convicted criminal, and Norman Mailer, a celebrated author who pursued controversy and greatness. This is certainly a lot of ground to cover in one book, but Mr. Loving largely succeeds. Mr. Mailer was instrumental in getting Abbott, a check forger, bank robber and violent inmate, paroled from prison in 1981. He praised Abbott’s writing ability and told prison officials that he planned to hire him as his literary assistant. Abbott’s prison book was about to be published and he became a free man again with money and celebrity advocates. Six weeks after his release, Abbott and two women went to a late-hour restaurant after a publisher’s party in Abbott’s honor. Abbott got into an argument with Richard Adan, the restaurant’s manager, and the two went outside to an alley where Abbott stabbed the manager to death. Abbott then fled the scene and became a fugitive.